National Conference (NC) leader Omar Abdullah came down heavily on the All Parties Hurriyat Conference (APHC) and said those who do not believe in the constitution of India have no business to comment on Article 35 (A). "Hurriyat Conference has no position on 35 (A). They have to accept the Constitution; otherwise they have no business to comment on it. They have a habit of muddying the waters like they did in case of the Goods and Services Tax ( GST). 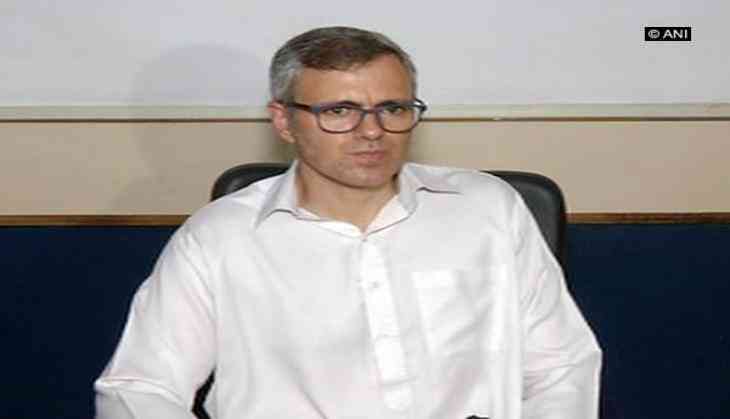 It is because of them that trader community was divided into Jammu traders and Kashmir traders," said Omar while addressing a press conference here. Responding to a question on Kashmiri Separatist leader Yasin Malik's wishes to Pakistan on the account of its Independence Day today, Abdullah termed it to be a move to garner support from Pakistan. "There is nothing new in his comments. Pakistan has always tried to separate Jammu and Kashmir from India, by militancy or otherwise. Yasin Malik also needs support from Pakistan," he said. Furthermore, Abdullah stated that if Prime Minister Narendra Modi has assured that Article 370 will not be meddled with, the same should be given reality. "So far, only a counter affidavit has been filed by the state. If Prime Minister Modi has given his assurance, there should be some reality to it. The Centre should file an affidavit in the matter," said Abdullah. For the unversed, Article 35A of the Constitution empowers the Jammu and Kashmir Assembly to define the state's permanent residents and their privileges. Article 35A was inserted into the Constitution of India through a presidential order in 1954, to guarantee that the maharaja's ban on outsiders would remain. It actually makes little difference in practical terms, for domicile rights apply in other states too. Meanwhile, Article 370 of the Indian constitution grants special autonomous status to the state of Jammu and Kashmir. Somnath Bharti case: time for a refresher course on other misogynistic politicians?